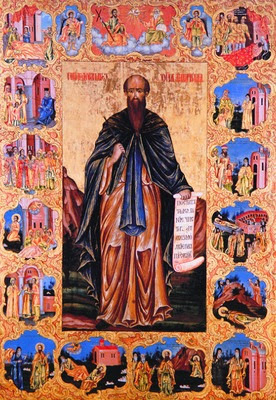 Venerable Gabriel was born as an answer to his noble parents prayers in Osiche near Ksiva Palanka, some thirty-eight miles from Skopje around the beginning of the twelfth century. After being married for a very short time, he fled his family home upon the death of his wife in search of finding a place suitable to living a God-pleasing life, and at this time he met a deacon named Thomas who inflamed his heart with the beauty of the ascetic life. He then had a vision of the Archangel Michael in which he was urged to return home and establish a church in his village. Having established a church in honor of the Nativity of the Theotokos, he again left his home and entered the Monastery of the Archangel Michael, also known as Lesnovo Monastery, on the slopes of Mount Plavitsa, near the village of Lesnovo about twenty-seven miles east of Skopje. 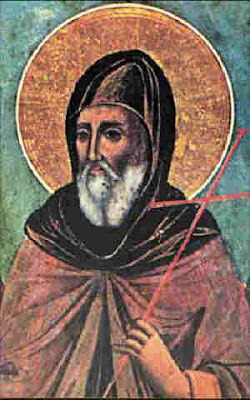 Having become notable for his humility and obedience, the abbot tonsured him and gave him the blessing to live in a cell apart from the brethren in order to further devote his time to prayer. While in the monastery Gabriel acquired the gift of healing, so that many who were ill flocked to him to receive this grace. As his reputation grew the crowds became larger, causing Gabriel to withdraw from the monastery and go into the thickly-forested depths of Lakovo. There he met an admiring shepherd, who asked him to bless some water and sprinkle his flock as a blessing, for they had become diseased. This caused the flock to be healed, and the miracle soon became known throughout the area, causing people to flock to him. Gabriel therefore gave up his cell to the shepherd and fled some distance away to a place known as Orlov Peak, where he spent thirty years in obscurity, prayer and strict asceticism. There he reposed in peace. 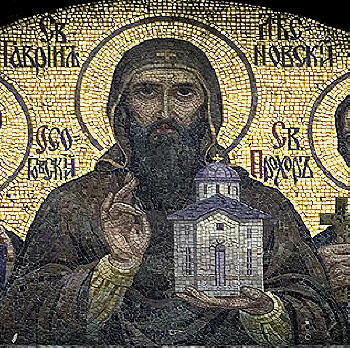 Soon after his death, Gabriel appeared to a monk named Joseph from Sofia, and asked him to uncover his relics. Fearing the vision may be demonic, Joseph inquired concerning it to the Metropolitan, who told him to do as he was ordered in the vision. With some clergy therefore he made his way to the cell of the Saint, and following a second apparition they found his relics incorrupt. 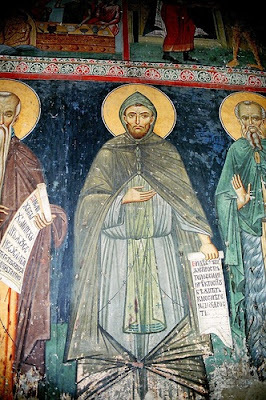 With great honor they were brought to the Lesnovo Monastery, where they became a source of many miracles. Jovan Oliver, despot of Serbia, later built a church in honor of the Saint there and restored the monastery. 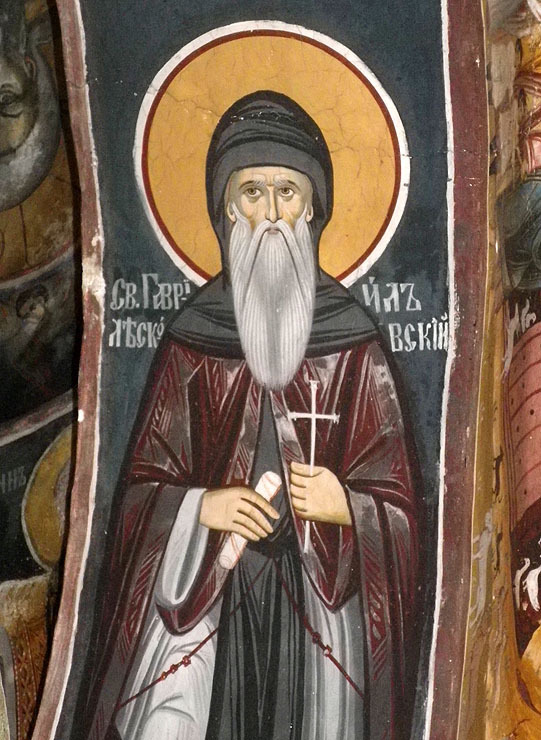 At the time of Sultan Murad I (1359-1389) the relics were transferred, for fear of the Turks, to the Church of the Holy Apostles in Trnovo of Bulgaria. Currently his relics are in Lesnovo Monastery.